Just in time for Easter, we are pleased to share "Quilly" in bright pastel colors . 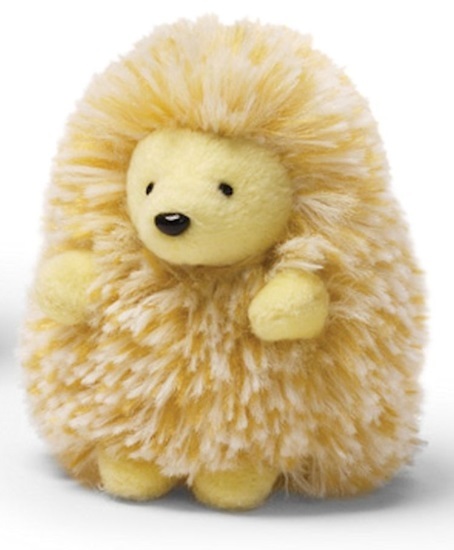 This is a yellow porcupine with a soft velour face, paws, and stomach. Quilly has black plastic eyes and a nose that are stitched on. Long yellow and white hair runs along the back from head to tail. "Quilly" is 3-inches tall and fits perfectly in the palm of your hand, or in this case, an Easter basket!